Members are required to purchase at least twelve shares annually to maintain active financial status, that is, to maintain access to the products, services and events of the Credit Union. Use your Deposit Savings account for short term savings and day to day access/use. Interest is paid quarterly on this account and there are absolutely no service charges. 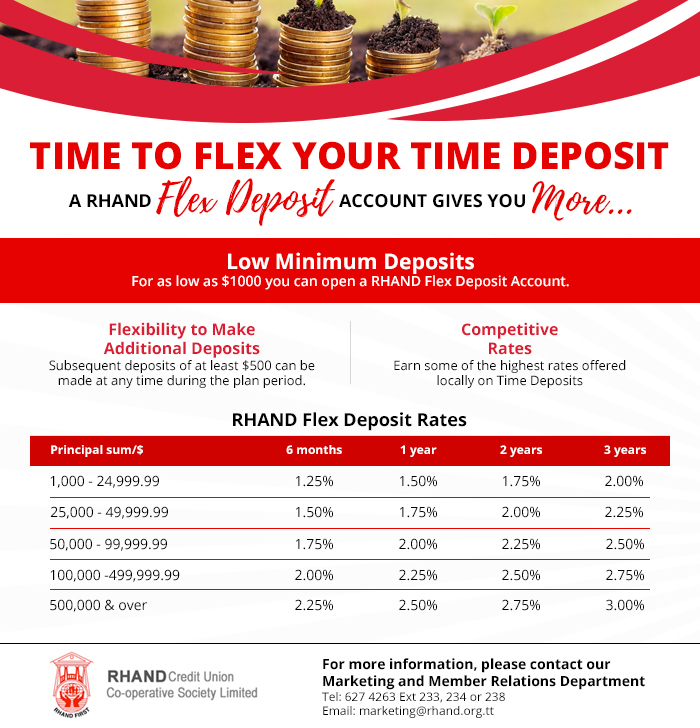 Our Flex Deposit facility can be opened with as little as $1,000 and offers competitive interest rates, coupled with the flexibility of choosing the term of the investment and the frequency for receiving your interest payments. It is a great investment option for the medium to long term goals.